If you’re interested in learning more about essential oils, or you have any questions, let me know! And please join our Facebook group so you can ask questions, share your experiences with oils, and we can all work together towards building happier, healthier lives! You probably have experienced essential oils in a spa treatment, or even at home with bath and body products, but that’s just one small piece of what essential oils can be used for! Essential oils have been used for thousands of years for their health, cosmetic, and emotionally uplifting properties. Young Living has always been at the forefront of bringing this ancient tradition to modern users, introducing millions to a total mind/body wellness they may never have dreamed possible. Young Living oils are primarily extracted through careful steam distillation, but also through cold pressing. The purest essential oils are far more powerful and effective than dry herbs, delivering quick and effective results. Any time you hold a bottle of Young Living essential oils, you are holding the pure essence of health-promoting botanicals that can be diffused, inhaled, applied topically, incorporated into massage, or taken internally to inspire a positive emotional state, enhance physical wellness, purify your home, refine your skin, or create deep spiritual awareness! Essential oils can be used in cooking, cleaning, pet care, beauty products, as nutritional supplements, to give you an energy boost or relax you after a long day; in short they can be used for just about anything! Join our Facebook group to get even more great ideas! NOTE: Young Living essential oils are the only oils I know of that are safe to ingest, so PLEASE be careful if you are using other brands. The oils you can find at a health food store may not be safe to ingest! Ready to start using essential oils in your daily life? Great! Let’s get started! The best way to purchase Young Living oils is to become a member of Young Living. But let me be 100% clear about exactly what that means! As a member of Young Living you get a 24% wholesale discount on every purchase you make. Period. That’s it. As a Young Living member you are NEVER required to order a certain amount per month, you are NEVER required to sell anything, and you are NEVER pressured to sell anything. You are not even required to tell people about Young Living. Being a wholesale member just means you get a 24% discount every time you buy essential oils from Young Living; that’s it! 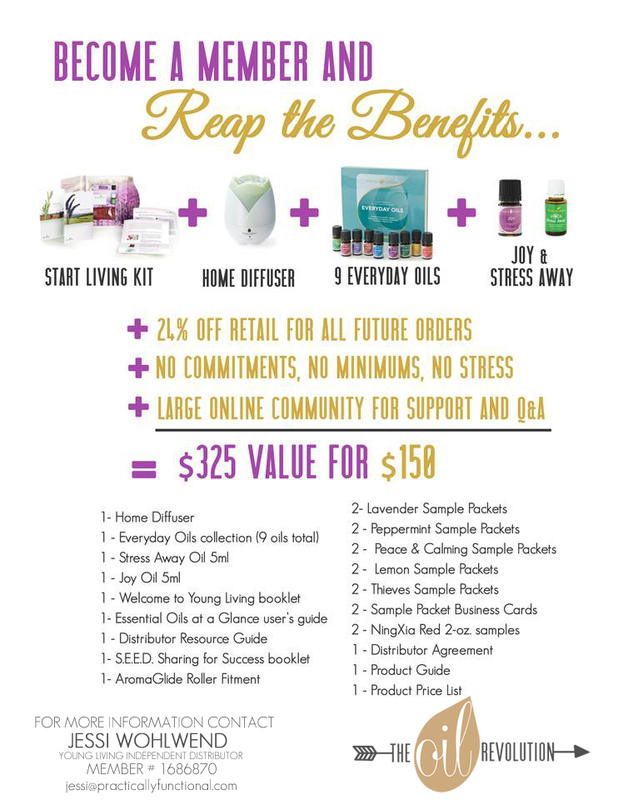 Think of a Young Living membership like a Costco or a Sam’s Club membership; you pay a small fee to become a member (in this case it is purchasing a starter kit) and then you get huge discounts on your future purchases! Costco never pressures a Costco member to refer others to Costco, and Young Living doesn’t either! If you want to earn extra income by sharing your passion for essential oils, you can definitely do that too! But you are never required to or pressured to in any way. If you want to learn more about becoming a distributor, just let me know! So, what are these starter kits? A starter kit is just what it sounds like: it’s a kit with a bunch of great essential oils in it to get you started! The Starter Kits are full of essential oil samples, usage tips, and all-new product and business literature. 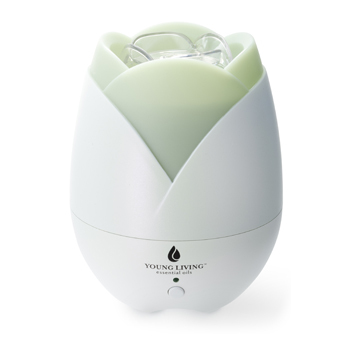 They are designed to help give you a deeper understanding of Young Living’s product categories (Home, Beauty, Wellness, and Balance) and provide opportunities to replace household products with all-natural alternatives. The starter kits start at $40 for the Basic starter kit, but the best deal is the Premium starter kit. It’s $150, but for the sheer volume of products you get, it is well worth it! The retail price for all of the products in that kit is over $300, so you basically get a 50% discount when you purchase it as a kit. The Premium starter kit includes the Everyday Oils collection, which is 10 5ml bottles of the most popular everyday oils. The Everyday Oils collection alone is worth $163! But that’s not all, the Premium starter kit also comes with a Home Diffuser, Essential Oils at a Glance user’s guide, Stress Away 5-ml, AromaGlide Roller Fitment, two Lavender Sample Packets, two Peppermint Sample Packets, two Peace & Calming Sample Packets, two Lemon Sample Packets, two Thieves Sample Packets, Sample Packet Business Cards, two NingXia Red 2-oz. samples, Product Guide and some other paperwork to help you get started. That home diffuser is awesome! Just add a few drops of your favorite oil, turn it on, and enjoy the amazing scent throughout your home! The retail value is $98, so again you’re getting a great deal by bundling all these things into one awesome starter kit! If the Premium starter kit doesn’t fit in your budget, you can get the Basic starter kit for $40, but it doesn’t include the home diffuser or the Everyday Oils kit. Or, for $75 the Basic Plus starter kit does include the home diffuser, but again you’re missing out on 10 of the most popular oils in the Everyday Oils kit. And, the other great thing about signing up as a wholesale member using my member number is that it means you are automatically part of the Lemon Dropper team, and you will have access to tons of resources and information for helping you get started with your oils! So are you ready to get started?! It’s pretty simple to sign up as a member and start getting your oils at 24% off; visit the member sign up page and let me walk you through it! These statements and any information contained on this website have not been evaluated by the Food and Drug Administration. This information is intended for educational purposes only and is not meant to substitute for medical care or to prescribe treatment for any specific health condition. These products are not intended to diagnose, treat, cure or prevent any disease. Our content is not purposed to replace professional medical diagnosis, treatment or advice. Information obtained from a Young Living member should never cause disregard or delay seeking advice or treatment from a medical or healthcare provider. Use of any information from the content of this site solely at your own risk. 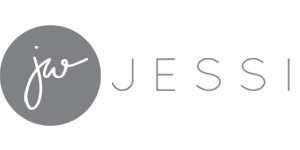 Consult individual products labels for safety information.